A DAY FILLED WITH CELEBRITY DESIGNERS, NEW PRODUCT LAUNCHES, EDUCATIONAL WORKSHOPS AND OPEN HOUSES. Please join us in the atrium for coffee and a light breakfast while you register. 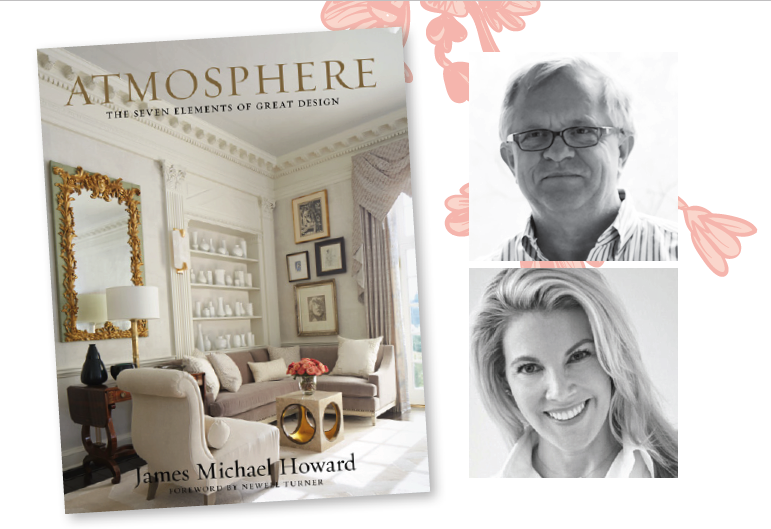 Please join Karen Elizabeth Marx, Hearst Design Group’s Executive Director of Special Projects, in conversation with designer James Michael Howard as he presents his new book, ATMOSPHERE. Karen and James will discuss his seven elements for great design and how they inform his work. 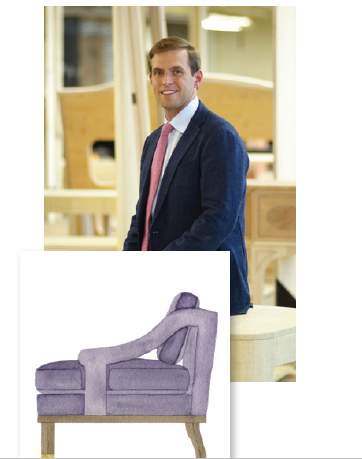 James Howard’s contemporary interiors are full of grace and intellect, seamlessly bridging the intersection of classicism and modernism. Hosted by Cowtan & Tout. Please join Cowtan & Tout for a catered book signing with James Michael Howard. “Midcentury Modern” was coined by author Cara Greenberg as the title for her 1984 book. Today, over three decades later Mid-Century Modern still remains one of the most popular, collectable, and dynamic styles of international design. 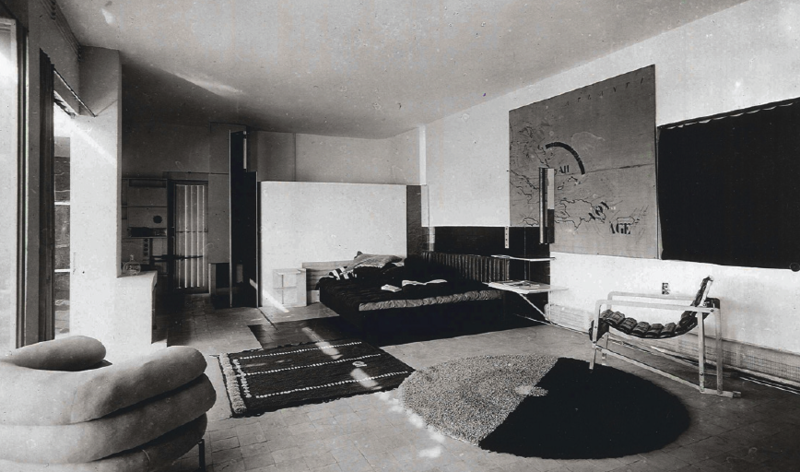 This presentation will walk you through this period in architecture and interior design highlighting its relevance to today’s living environments. We’ll discuss its hallmarks, motifs and defining materials. We’ll explore the American masters of the movement and along the way we’ll discover why this period is still inspiring designers today. Open house all day featuring Lee and Salvations. 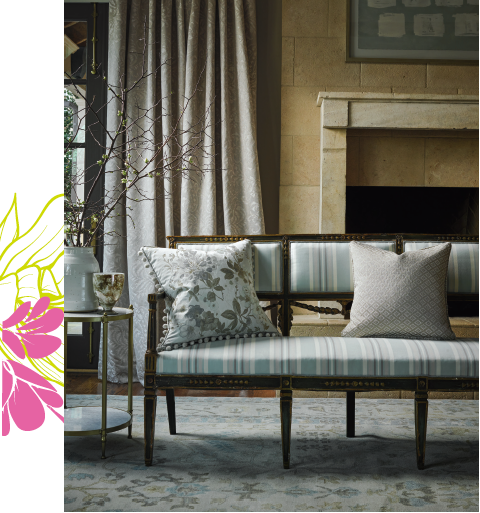 Please join us as we welcome our sister company Highland House known for their great scale, fun color & amazing fabrics. Nathan Copeland, President & Lee Belmore, Creative Director will present on colors, trends & new introductions. Lite Bites will be served. The color purple is one to which everyone seems to have an opinion. From the Bohemian artists to the counter-culture to the royalty and religious, it all holds special meaning. This course will take you through the history of violet, give you a better understanding of the symbolism and science associated with it and finally illustrate how purple reigns in interior and exterior architecture. 1 CEU Credit. 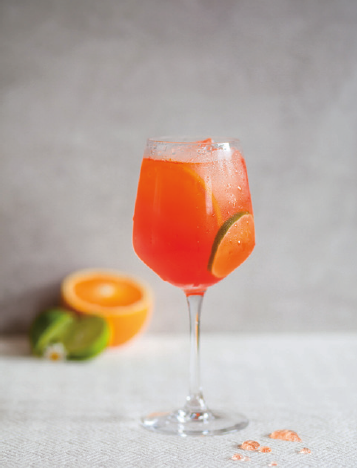 Purple inspired refreshments will be served in the Quadrille Showroom, Suite 335 after the course. 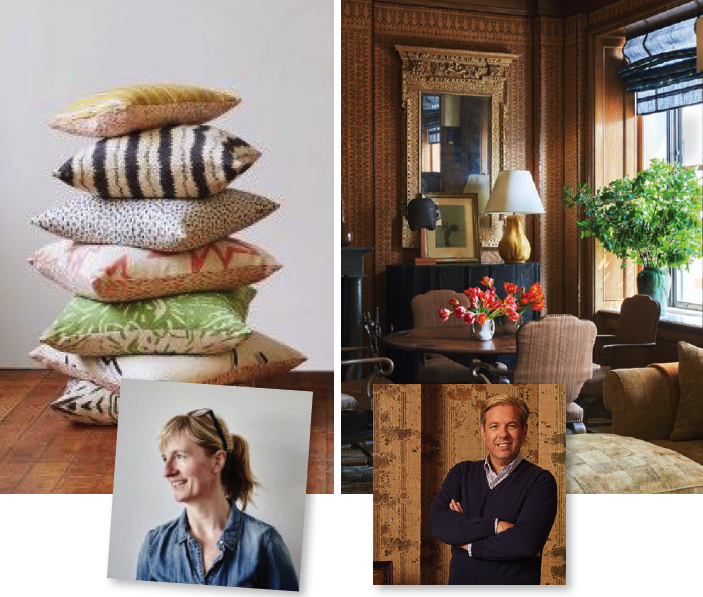 Kate Loudoun Shand, Creative Director of KLS Textiles, will be in the showroom with sketchbooks to discuss her process and meeting with designers to find out what excites them in todays market. Kate draws inspiration from all sorts of places and follows no rule, but she tries to bring a sense of joy and adventure to everything she does. 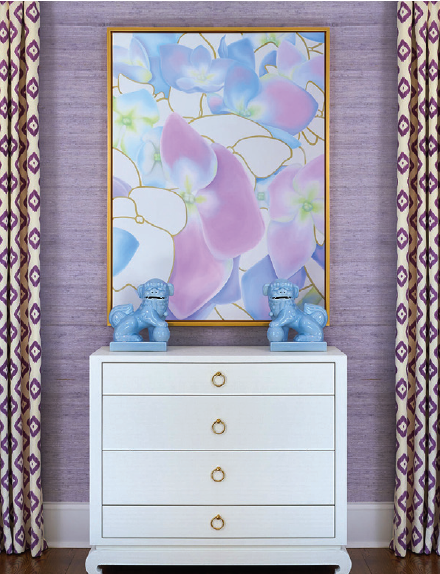 Michael S Smith is well known for his signature blend of European Classicism and American Modernism; historically referenced patterns in bold, simple colors, combined with textural detailing. Sharon Miller, Eastern Regional Manager, will present and discuss the inspiration behind this first ever Designer Collaboration of natural window and wallcoverings. The evolution of performance textiles for residential use has been rapid and expansive over the past five years. Design professionals seeking to specify these residential segment-specific fabrics to add value and longevity to their projects need to keep abreast of new innovations in the technology. This course will shed light on the consumer behaviors and sociological shifts that have led to a zenith in demand for these products. It will also clarify which technologies work best in various applications for the home, as well as the characteristics of various fiber types and key cues to watch for on the label. Join us in the showroom as Stephanie Spero, Global Representative Director for de Gournay, takes you on a journey to restore and revitalize the historical chinoiserie design Houghton. 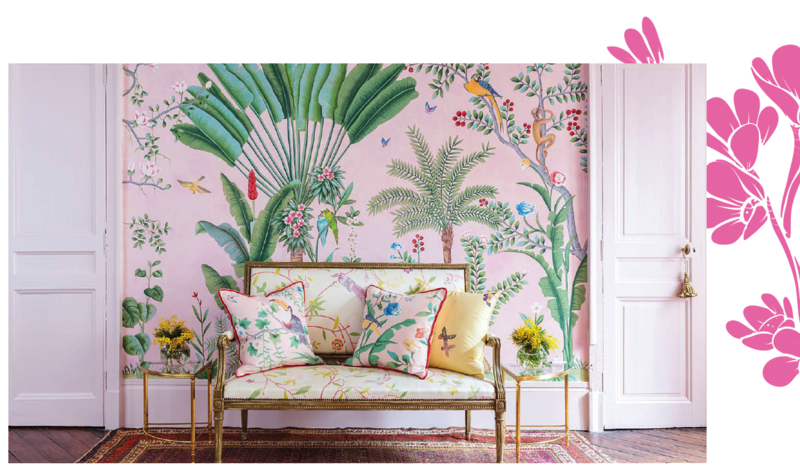 Her presentation will also include new de Gournay product created for use in your 2019 design projects. Refreshments and cocktails will be served before and after the presentation. For 90 years, Scalamandre has been synonymous with luxury and timeless style. Our latest collections offer fresh perspectives on the brand’s classic heritage. This season, our design team has drawn on a range of sources, from Calabria, Italy, homeland of Franco Scalamandre, to painter Pierre Bonnard’s wild garden, to textile fragments from our very own archives. Please join our Senior Design Director, Sumitra Mattai, as she presents the inspiration behind our latest collections of fabric and wallcovering, including Calabria by Scalamandre and Flora by Grey Watkins. Light refreshments will be served. The lines between Hospitality and residential are continually blurring. With an increase in boutique hotels and a movement towards feeling at home, STARK is in a unique position to bring its strengths in residential design to its new Hospitality and Contract division. 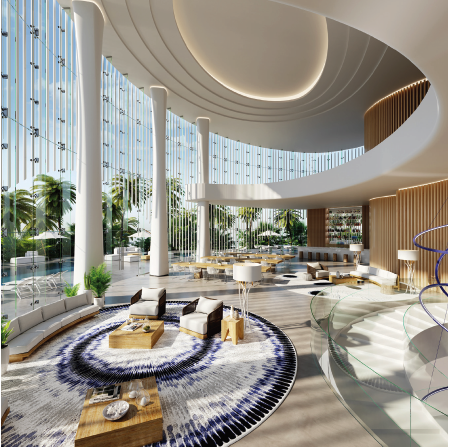 Learn what designers should know about hospitality and contract design and explore the limitless offers of STARK Hospitality and Contract. New product display and light refreshments. Showcasing new Tufenkian rugs. Refreshments will be served all day. Join Fabricut for a look at our newest introductions from Stroheim, Vervain, S. Harris, and more. Power Up and Recharge your Creativity, your Energy, your Phone. Preview the Spring 2019 Collections. See latest product displays from Paris Deco Off. Enjoy light refreshments and use our Charging Stations all day from 9am to 5pm so you can stay connected. For over 180 years, Holland & Sherry has produced exquisite textiles, from tailored and refined to rugged and versatile. For 2019 we present dOCERE: a glimpse into the heart of the artist. Meaning “to teach,” dOCERE illustrates ourdiversity of process, materiality, and a freedom of expression that transcends the bounds of warp and weft. Conceptual, abstract and tactile, this collection of handwoven and hand-painted textiles is an opportunity to design without sacrifice, and to connect the pure spirit of creativity to decoration. Collection includes textiles, wall coverings, and rugs. Please join Osborne & Little for an Open House on Thursday, March 14th, from 9AM to 5PM. For over 50 years, the company has cherished its reputation for innovation and quality and is as inspired and energetic today as ever, creating a constant stream of new collections that push forward boundaries. With spring’s launch of 22 new fabric and wallpaper collections from Osborne & Little, Designers Guild, Christian Lacroix, and John Derian, there are endless new options! Enjoy prosecco and sweets as you view the collections. Stop by the Pindler Showroom to view Pindler's beautiful new exclusive collections and wide range of product offerings. Learn more about Alta Performance technology program which can be applied to most Pindler fabrics. Punch and dessert will be served from 1:00 PM - 4:00 PM. Please join us throughout the day for an open house featuring brand new launches from Black Edition and Mark Alexander: Through a harmonious collaboration with Japanese artist Katsutoshi Yuasa, Black Edition have embarked on an exploration of time-honored Japanese printmaking practices where traditional and contemporary techniques intertwine in Kuboa, Mizumi, and Hinoki. Mark Alexander sets a new standard for outdoor fabrics with Sierra. The simplicity of pure linen is combined with the high-performance aspects and easy-care features expected for outdoor use in this sublime collection of linen weaves that are truly unique to the outdoor market. Channel your inner hippie with Schumacher’s newest collection, Free Spirit. The confident and casual lifestyle collection conjures up 1970s California with earthy colors, textural patterns and handcrafted designs—and one showstopping, psychedelic fabric. Magic Mountain Dragon features foo dogs and fire-breathing dragons in a fantastic symmetrical print. It’s an adventurous pattern that makes a memorable statement, and can be layered with absolute ease for a laid-back, bohemian vibe. Please visit the Holly Hunt Open House 11-4. We will be serving wine and light bites.